Thank you to the many families who have shared your perspective on your child's learning. I have read them all and we're really grateful for your thoughts on how it can help us to do more of what works. Its really lovely to see your children reflected through your eyes, thank you for the opportunity. You should have all received a digital form from your teacher. A hard copy was also sent home with all children on Tuesday if you would prefer to do it that way. 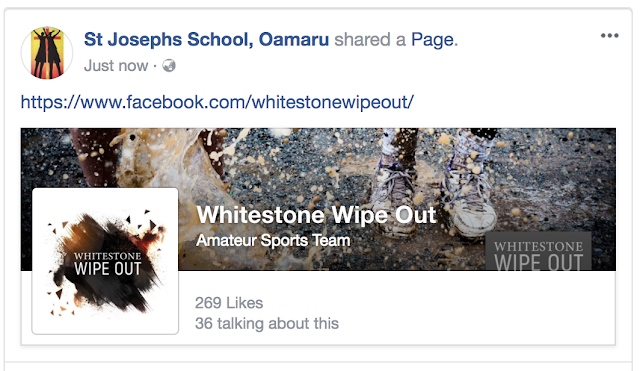 The Home and School are doing a really professional job of organising the Whitestone Wipeout. Check out the Facebook page and remember to register: https://www.facebook.com/whitestonewipeout/. It will be a BIG fundraiser for St Joseph's. The Home and School AGM is Thursday 1st March at 7pm in the school staffroom. Our enrichment philosophy and processes were last updated in 2013. Then they were in line with what our experience, the most up to date research and children and parents told us was good for children needing enrichment. It is now time to review our philosophies and procedures and check we are in line with best practice. This year Jennifer Herbst (previously teacher in charge of enrichment at Rosmini College, Auckland) and Sara Jones-Hogan our Special Education Needs Coordinator are being supported with a leadership provision to review our enrichment procedures and practices. Our enrichment register is updated annually and we ensure we maintain a range of activities and opportunities to provide for a variety of gifts and talents. If your child is on the enrichment register you will be told at the goal setting meetings. Possibly gifted and talented = in OUR top 20% academically AND have an outstanding talent in another area. Possibly gifted and talented = have a "different" or "unique" approach AND have an outstanding talent in another area. Probably gifted and talented = have at least three distinct gifts in areas such as art, music, language, drama, reading, sport etc. A simple way of looking at things is group of people falls into a "bell curve" with the majority of people fitting in the middle range and some above and some below and we adjust our teaching to fit the range of needs to include both above and below. A more complex way and one that we prefer - is that all children have a mix of gifts and needs and we need to give them all opportunities for their whole character to shine and give support for the parts that are weaker. Children who have learning needs sometimes have developed exceptional talents to compensate. Children who jump quickly to global thinking may find it difficult to collaborate, or follow through to completion, or many other things. So we continue to treat each child as an individual. I will be taking a year 7 & 8 maths enrichment group again this year starting next term and I'm looking forward to it. Jennifer and Sara will communicate with you about enrichment more as the year goes on. In the meantime please be aware our class teachers are well aware of the needs of all of our children and plan diverse programs to suit all needs. A reminder that there is a parent meeting next Monday, February 26@7pm for those who have enrolled their child into the Sacramental Programme. Mrs Winders will also begin sessions during school time next week in helping to prepare your child for Reconciliation. This feast commemorates Christ’s choosing Peter to sit in his place as the servant-authority of the whole Church. There is an object (A chair!) 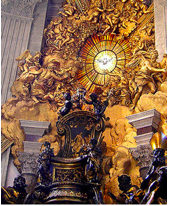 known as "the Chair of St. Peter." It is in the Vatican, at the back of St. Peter's basilica. Lent is a way for Catholics and many Christians to remind themselves of the value of repentance. 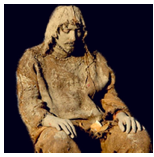 The austerity of the Lenten season is seen as similar to how people in the Old Testament fasted and repented in sackcloth and ashes. It reminds us to turn away from wrong doing and return to God. The pillars of Lent are, prayer, service and fasting. Please open the link to read an article about arsenic being a component of magnetic putty. Friday Night - we are looking for 2 girls to play in the Yr 5-8 grade. The game starts at 4.00 pm and goes for approximately 35 minutes. Everyone gets to bowl 1 over and bat for 2 overs. These games are designed for fun and participation and costs nothing to join. Contact Paula Brien if your daughter is interested in playing. The primary grade team is looking for 2 more players to join their team on a Saturday morning. If your child is interested in playing cricket from Yr 4 upward, contact Paula Brien. Are available for Yrs 4-8 in Digital, Technologies, Maths, English, Science and Spelling while Yr 3 are able to sit English, Maths and Science. The cost to sit the examinations are: Spelling $11.50 with the other subjects costing $9.50 each. Please contact the office if you wish your child/children to participate by Thursday 15th March. Elise Hedlund (Yr 1) has lost her named St Joseph's jacket. Please have a look at your child's clothing to see if they have the correct jacket. Your son/daughter may have their photo taken at school from time to time and / or produce work that can be celebrated to the entire school community and beyond, through the school internet site. If anyone does not consent to St Joseph's School publishing photographs of your son/daughter in the St Joseph's website, local newspapers and other publications which may arise from time to time or that the publications will be made available to the public or maybe used in photographic display at educational and marketing events, prospectus and brochures, please contact the school office. This consent is part of our generic permission form which everyone has seen and returned last year or if you are new, you will have received it in your starting pack. These sports have come upon us really quickly!! They are held next Friday and at this stage I have an offer of 2 parent helpers only - HELP - We desperately need some parents to help with time keeping duties as we usually get help with students from St Kevin's but Oamaru Intermediate have their swimming sports at the same time and our numbers will be limited. Contact Paula Brien if you can help. Please read the notice below as there have been some changes. Our first race will be at 9:30 am and will be finished by 12.30 pm. Children need to be at school in their full PE uniform before 8.50 am as we will be walking the children down in classes as close to 9.00 am as possible. Please ensure that your child has plenty of food and a water bottle as they get quite hungry at the pool. We require a parent with a trailer who can help transport chairs down to the pool on the day . If you can help, please contact me. The children are encouraged to wear their house colours once they arrive at the pool. Face paint and vivid markers are not allowed. We will have demonstration races for those children who can swim half a length in the stroke of their choice. The order of events is: 4 lengths Medley and then the non-competitive and competitive events in each event and finish with the relays. There will be no finals run, only heats as they will be timed. Programmes will be available to buy for a gold coin donation. These will be available from the recorder. We have entered the children in races they are confident in and the swimming instructors and sports coordinator have both been looking at them. If you want to ensure that your children are in the races you feel they should be, please contact Paula Brien. Ages are taken as of the 14th March for the age groups for the swimming sports. Places will be determined on times recorded. This year every competitive swimmer will receive 2 house points and non-championship will receive 1 house point. Each competitive swimmer who gets a placing will earn 1 point for 3rd place, 2 points for 2nd place and 3 points for 1st place. There will be no width events. The starting procedure is, a whistle for quiet, ‘on your marks’, followed by a bang. Please be quiet when the swimmers are under starter’s orders. The various swimming events will be put on a whiteboard, which will go past. Each teacher will have a copy of the order of events as well. Please listen carefully for the marshalling calls. Please do not approach the recorders for results. Parents please sit on the opposite side of the pool to the children and the children will be required to stay in the stands as we won’t have time to find them if they miss their races. The swimmers qualifying for the North Otago championship will be required to perform the stroke correctly. We will have someone checking on technique at the sports and the children will be disqualified if they are using an incorrect technique. Entry for North Otago swimming sports is taken on times not places, hence our recording of times on the day. The North Otago swimming sports are on Wednesday 14th of March. The children who qualify for the North Otago swimming sports will be notified. Otago Primary School’s swimming takes place on Saturday 7th April at Moana Pool in Dunedin. The first race is at 9.00 am and the entry fee is $6.00 per race entered ($6 entry fee for a relay). If you wish for your child to take part in this, please let me know ASAP so we can use the swimming times. Entries to Paula by Friday 16th March with no late entries being accepted. On Friday 2nd March at 3.10 pm, the Yr 8 students are planning to fundraise for the Tongan Fund. They will be selling spiders, popcorn, fruit kebabs, sherbet, muffins, slime, candy applies, cookies and cupcakes. If you would like to donate something as well (cakes, muffins or biscuits), please send it along next Thursday 1st March. All the profit will be going to Tonga to help fix things around the country. Items will be priced between $1.00 to $2.00. Thank you from the Yr 8's. Our school is having a mufti day on Thursday 1st March. Please send along a gold coin donation if your child wishes to wear mufti. Fr Wayne has generously offered to match whatever we make. Thank you so much Fr Wayne. At this stage we have not heard about any changes to the draw so it will be the same as last week. This week after a few settling in problems, the winter sports enrolment form was sent out via a google form where you enter the information for each individual child and submit it back. We require this information by Monday 26th February (originally it was tomorrow) so we can start to sort numbers out for teams. If your child is not playing a winter sport for St Joseph's, please let Paula Brien know email sport@stjoseph.school.nz so she doesn't chase you up. Oamaru Sports & Outdoors are having a Kookaburra Hockey sale on Monday 26th February and the Kookaburra rep will be strom from 2.30 to 5.00 pm. This course will be held on Saturday 7th April at Whitestone Stadium at 10.00 am. Can all rugby coaches and managers attend this practical course. More details to follow at a later date. Mark your diary. St Kevin's Rowing is holding a quiz night on Monday 26th February at the North Star starting at 6.30 pm. Costs $30 per team. North Otago U15 Girls Basketball trials - due to lack of numbers at the first trial they are calling a second trial for the U15 girls at the Waitaki Recreation Centre on Monday 26th February from 3.30 to 4.15 pm. If you have any questions, contact Susan on 027 222 2187. Oamaru Multisport Club - there will be a fun duathlon/triathlon fun fun held on Wednesday 28th February at 6.00 pm at the harbour. Scouts Adventure Plus - the Columba Scout Group is an amazing way to meet new people while learning fun new skills. It will take you out of your comfort zone and take you on wild trips and camps. For more information, contact Group Leader Neville Corry on 437 2531. Further information is attached to the email.